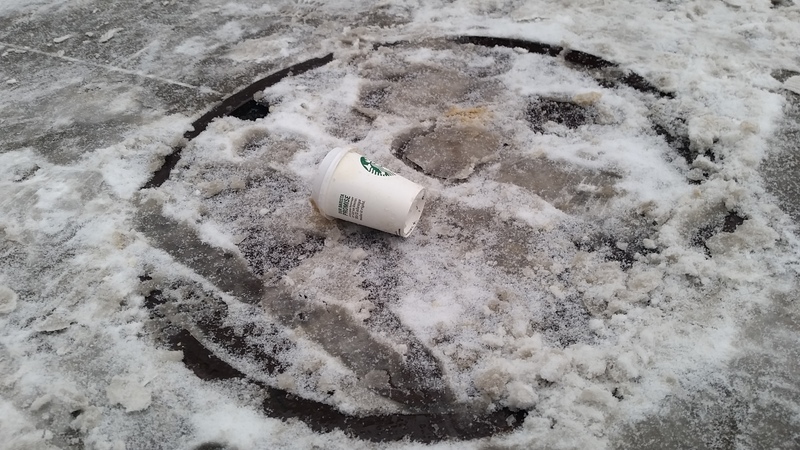 The Holymans’ casualties have claimed yet another unsuspecting victim as a snow storm turned to a lovely onslaught of sleet/ freezing rain in this frigid Iceland we call NYC. I lived in a city called West Palm Beach, Florida near Lake Okeechobee, until I was 12 years old. I was exposed to people from around the world that could speak a handful of different languages. The most dominant language besides English at the time was Spanish and I had picked up a bit just by being surrounded by it. If I drove about 30 minutes South, Spanish speaking skills were a must. I also took martial arts lessons, specifically Taekwondo, at a nearby dojang where the owners were half Korean and often taught the Korean terms for any moves, counting, being sure to keep a continuous blend of Korean and American culture. In middle school I moved to an area of NH where most people only spoke English and as such Spanish, French, and Latin were offered in the school systems starting in high school. I decided to go with Spanish, but had no real interest and did not challenge myself to learn the language as there was not anyone to speak with that was a native speaker or at least fluent in Spanish besides the instructor. There are many factors that play into how I have been learning the Japanese Language. The more prevalent aspects that affect me in my daily life in correlation to Japanese as a second language are known in linguistic anthropology terms as gender, expert, competence, gesture, community, humor, identity and evolution, yet the most important in my mind is motivation. This reasons that success in a second language goes beyond immediate grammatical, testable success, and melds the understanding of these rules with the changing of oneself at the same time. This is where my journey takes a turn for the hardest thing I have ever tried to do, and am still doing, learning Japanese. When I was a freshman in high school I met an exchange student from Japan. He was in the same calculus course as me and he could speak basic English. He seemed like a nice person and I tried talk to him every day, yet he could not understand much of what I said and I had no knowledge of Japanese outside of “Konnichiha” and “Arigatou” which mean “good afternoon” and “thanks”. After about three weeks of failed attempts to communicate I decided that I would learn Japanese in order to help bridge the gap between us. I wandered haphazardly in my studies, picking up random words and a rough memorization of two of the Japanese writing scripts. Yet this did not help in my ability to speak in Japanese, yet he was improving rapidly with his English ability every day. This was my first motivation for learning Japanese. Throughout high school I tried to get a Japanese language course integrated into the public school in order to study it in a formal setting with hopes of getting at least a few years worth of study. This went on for 3 years and then finally I had the chance from a grant offer by the state for new classes in public schools in New Hampshire. I was in charge of finding a Japanese instructor, students that shared a similar desire to learn Japanese, a time that worked for everyone to meet, and then to help decide how the class was to be graded. The class was hard and not structured very well, as the kind hearted instructor was used to teaching young children that had already spoken some Japanese and I was the only student to follow through with the class to the end. I had ended up learning mainly about the culture and a collection of interesting facts and the proper pronunciation of the Japanese syllabaries, but that was enough to get me started. MATSUMOTO, MASANORI, and YASUKO OBANA. “MOTIVATIONAL FACTORS AND PERSISTENCE IN LEARNING JAPANESE AS A FOREIGN LANGUAGE.” New Zealand Journal of Asian Studies (2001): n. pag. New Zealand Journal of Asian Studies. June 2001. Web. 12 Apr. 2013. <http://www.nzasia.org.nz/downloads/NZJAS-June01/LearningJapanese.pdf&gt;. I have been talking with a lot of the Japanese exchange students at my home university and I have come to realize just how different the treatment of international students is between my home university and my host university in Japan. 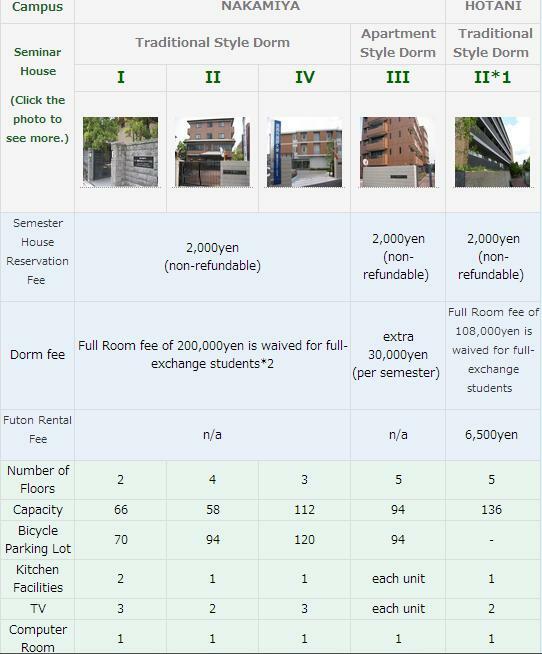 About a month before heading to Kansai Gaidai University ( 関西外大 ) I received an email concerning where I wanted to live, how long I intended to stay and where, information relating to when I could apply for classes and most importantly information on how to get from the airport to the university. Housing was straight forward, listing all of the details of the five off campus, by a mile, Seminar Houses (similar to dorms) as well as the steps in requesting a home stay. I checked out the details and knew within two weeks where I would be living (seminar house 4). I gave a rough estimate of my housing dates, using my definite move in and a tenuous move out date. Housing: check. I found out that I would have to wait until physically arriving at Kansai Gaidai before I could choose anything. Classes: to be determined. Seeing as most of the exchange students heading to Gaidai have never been to Japan before, are unfamiliar with the area, or just outright do not know how to navigate Japan as of the first hour off the plane at Kansai International Airport, Kyoto Station and Osaka Itami Airport, the option of taking a group bus (for incoming international students only) to the Seminar Houses is available and recommended. Ride to Seminar House: check. 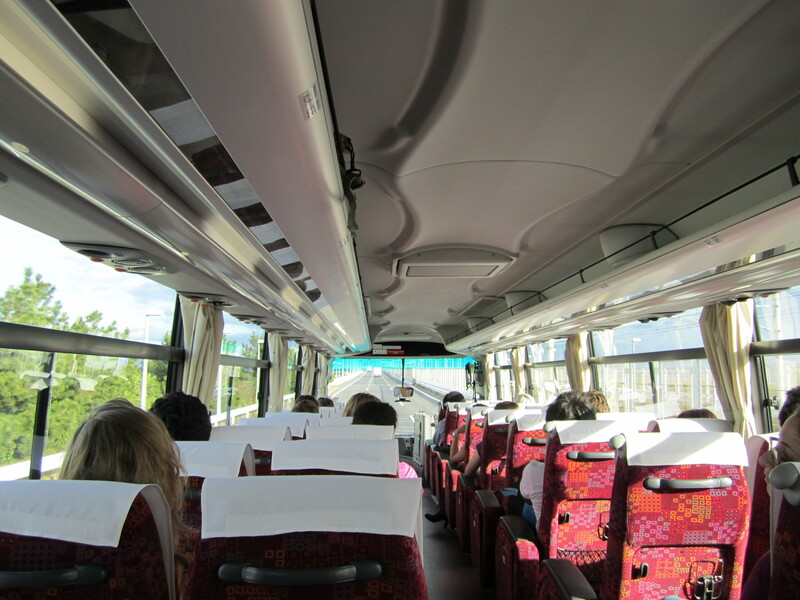 There is a ¥2000 fee (roughly $24.00) for the bus, but the alternatives would be either a taxi, costing well over ¥5000 (~$60.00) or taking the train which ended up costing about ¥3000 (~$36.00). It was nice to have the choice to go directly to the Seminar Houses or to take our time exploring if we wanted to. Usually everyone is so excited to meet the people at the dorm, to set up their rooms and to see what the area is like, so they go straight to the dorm. Not the most enjoyable process. Once the students make their way to the USA they have to find their own way to the campus. There are recommendations for them on how to do so, but that usually goes as far as “we recommend you use either a Peterpan or Greyhound bus” and an address for the university. From there they are on their own. As for the students that arrive a few days early they need to look for hotels and make their way there by taxi. Housing: check, Transportation: Unknown. That is saddening for me to hear. For me how I was treated every day played a large role in my absolutely loving my experience in Japan. I hope that any difficulties dealing with the university do not put a sour taste in anyone’s mouth. It might take a little more time and effort for the very busy staff, but to request a university bus to pick up the incoming students as an option would probably be a reasonable request. It is 2012 and the end of the world as we knew it has commenced. A Neuro–virus has been released onto the majority of the students here at UMass. The fire sprinkler systems were broken into, the Neuro-virus added and then, at the peak of the day, they were all set off simultaneously, effectively drenching the unexpecting and quickly irritated students. The virus seeped into the body through cuts, scrapes, eyes and even the pores if left on the skin long enough. All thanks to a junior writing professor and his whimsical mind and sporadic distaste for monotony, a few others and myself ended up outside, sitting on the steps of the Campus Center when this all occurred. This spared us from the almost instantaneous Zombification process that occurred once the N-virus reached your blood system. Trying not to make a sound in this frozen world the boy opened his mouth wide to slowly let his breath out. A faint puff of his misted breath hovered and then it too was gone, hiding from view. KATOOOOOM! A sudden earth shattering explosion sent rocks and moon dust splintering through the air. The creature had found him. When you get tagged on the moon, there is no next time, there is only the end.